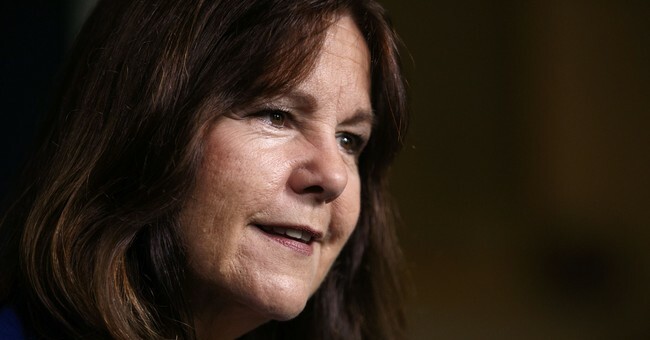 A Washington, D.C. school has said it will not play sports at the school where Second Lady Karen Pence teaches part-time, because of concerns over perceived safety. Initially, the plan was for students playing in away games to wear rainbow socks or warm-up jerseys in order to demonstrate LGBTQ support. But now, Donovan has completely banned the students from playing sports at the Virginia elementary school on account of some of them saying “they feel unsafe” in that environment. "As we talked more, we understood that some students did not feel safe entering a school that bans LGBTQ parents, students or even families that support LGBTQ rights," she wrote. Sheridan administrators, faculty, and students reportedly had several conversations about playing in sports games against Immanuel. They had played them in the past, according to Donovan, but that was apparently before they learned of the school’s policies surrounding LGBTQ issues. Since Pence took the part-time job as an art teacher at Immanuel, the school has been targeted by a number of progressive groups. Fox News reports that the NOH8 Campaign, the Human Rights Campaign, The Trevor Project, and CNN anchor Chris Cuomo have all come out in opposition to both Pence and the school, claiming that it ascribes to historic Christian values in the areas of marriage and sexuality. Kara Brooks, spokeswoman for Karen Pence, said in a statement that Pence had worked at Immanuel Christian School for 12 years prior to when she and Vice President Pence began working in the White House. Going forward, Sheridan will play against the Virginia Christian school in home games, but students will wear rainbow socks to demonstrate their support of LGBTQ rights.